Cervical cancer is cancer of the cervix- lower part of the uterus. It occurs when normal cells in the cervix develop into pre-cancerous cells that convert into cancer. There are different types of cervical cancers based on the type of cells that are affected. Symptoms of cervical cancer are not visible and it can take a year or more for the pre-cancerous lesions to turn into cancer. Pelvic pain and bleeding are the earliest symptoms. It can occur as a result of human papillomavirus (HPV) infection. This can spread from person to person by means of contact. Other causative factors include smoking, compromised immunity, prolonged use of oral contraceptives, multiple pregnancies, pregnancy at a young age as well as family history of cervical cancer. Prevention includes repeated screening and HPV vaccines. Radiotherapy and surgery are the treatment options for cervical cancer. Cervical cancer is the fourth most common cause of cancer and death in women. Expensive treatment options lead us to look for alternatives. 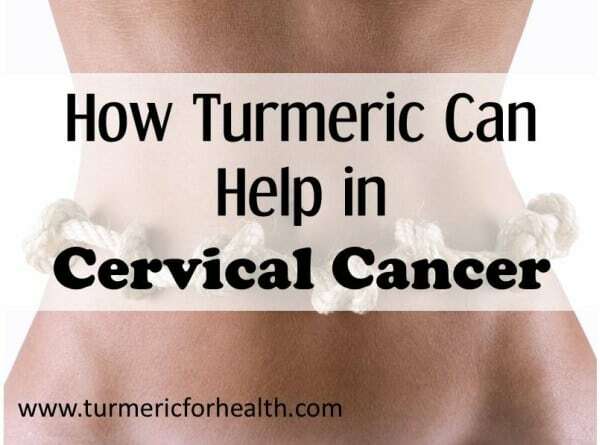 How turmeric can help with cervical cancer? Turmeric belongs to the ginger family and finds its origin in India. It is used primarily as a spice and coloring agent in foods. However traditional Indian and Chinese medicine make use of turmeric to cure every next ailment. Traditionally it has been used to improve digestion, heal wounds, regulate menses, treat allergic conditions, arthritis, liver disorders, etc. 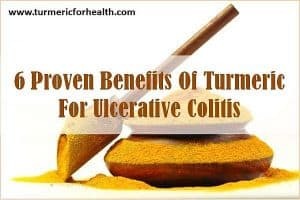 Research conducted in recent times has proved turmeric’s anti-inflammatory, antioxidant, anti-microbial, cardioprotective, hepatoprotective properties, etc. A study describes that curcumin at extremely low concentrations can inhibit the proliferation of cervical cancer cells. Curcumin induces cell death and reduces the viability of malignant cells. It suppresses the activity of proteins that promote the proliferation of cervical cancer cells. Cyclooxygenase-2 is another molecular target that is attacked by curcumin. This enzyme plays an important role in pain and inflammation. It also supports cell proliferation and is, therefore, is considered to be important in cancerous cells. Curcumin is an anti-inflammatory agent and inhibits the activity of COX-2 enzyme. This could be one of the mechanisms behind curcumin’s anti-tumor effect in cervical cancer. Estradiol is a female hormone which is held as a risk factor for developing cervical cancer. Estradiol protects the cervical cancer cells and prevents cell death of malignant cells and supports their growth. An experimental study demonstrates that curcumin can counteract the effect of estradiol and destroy cervical cancer cells. It also increases the activity of tumor-suppressing genes to exert its anti-tumor effect. Curcumin activates different proteins that initiate cell death. It inhibits the activity of telomerase enzyme which leads to shortening of telomeres (fragments found at the end of DNA strands) and this causes apoptosis or cell death. What does this mean? Curcumin acts on a number of proteins and biochemical pathways to exhibit anti-tumor effect on cervical cancer cells. Curcumin inhibits the growth and activity of the HPV virus. It reduces the activity of a protein AP-1 which is generally elevated in cervical cancer cells and is responsible for cellular proliferation. Results of this study indicate that use of antioxidants like curcumin can help in preventing HPV infection and cervical cancer. Curcumin turns out to be more deleterious to HPV infected cells than non-HPV infected cells. It prevents the activation of proteins like Nuclear factor kappa-B that control processes like inflammation and cell survival and growth. 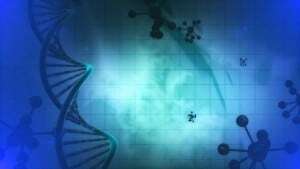 Oncogenes are genes which once activated produce cancer-causing proteins. These are present in HPV. A study demonstrated that when benzo[a]pyrene, a cancer causing agent present in tobacco, oncogenes in HPV were activated. This explains the link between smoking and cervical cancer. Curcumin prevented such activation and reduced viability of HPV. What does this mean? Human papillomavirus is believed to be one of the most significant causes behind development of cervical cancer. Curcumin prevents HPV infection and reduces the risk of HPV infected cervical cancer. Drug resistance is a major problem faced in cancer treatment where the malignant cells stop responding to chemotherapeutic agents. Curcumin acts as a chemosensitizer. Paclitaxel is a medication used to treat a number of cancers including cervical cancer. Curcumin enhances the activity of paclitaxel and helps in destroying cancerous cells. In the animal model of cervical cancer curcumin and paclitaxel synergistically reduce the incidence of tumor and size of tumors by reducing the activity of proteins that play a vital role in cell survival and proliferation. What does this mean? Curcumin increases the sensitivity of cervical cancer cells to chemotherapeutic agents and improves treatment response. Researchers hypothesize that curcuminoids can be developed as chemopreventive drugs for cervical cancer due to their ability to destroy HPV. A clinical trial was conducted wherein Pap smear tests were conducted and out of 1473 women, 88 were suffering from precancerous transformations in cervical cells. They were given capsules containing turmeric extracts twice daily for 12 weeks. The treatment stopped and reduced the growth of such precancerous development and also a decrease in pro-inflammatory parameters was seen. What does this mean? Turmeric if used at preliminary stages can prevent the occurrence of cervical cancer. Cervical cancer can spread to different parts of the body and turmeric can be of use as it has anti-cancer and chemopreventive properties. Pelvic pain can be considered as a symptom or complication of cervical cancer. Vaginal discharge, bleeding and early menopause in case of surgery are few other problems linked with cervical cancer. Read more: Turmeric for female reproductive system and Turmeric for menopause. What does this mean? Turmeric’s therapeutic action is not limited to treating and preventing cervical cancer. It can also help treat and reduce complications linked with cervical cancer. 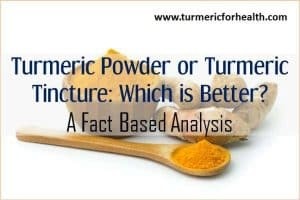 Taking upto 1 tsp of good quality turmeric powder a day is completely safe. Turmeric in the diet does not cause side effects. To enhance its bioavailability you can take it with black pepper or oil or bromelain. But those of you who can’t tolerate the taste can start adding turmeric to your curries, rice preparations and also as a coloring agent to your desserts. Another awesome way is to take turmeric milk (recipe here). It is advisable to consult a doctor before taking turmeric supplements to avoid the risk of adverse reactions. Few drugs you should avoid taking turmeric with are diabetes medications, stomach acid reducing drugs and blood thinning medications. Any kind of supplements should be avoided in case of pregnancy and lactation and the same goes for turmeric. 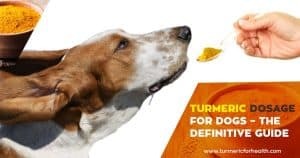 Discontinue turmeric supplements 15 days prior to surgery as turmeric has blood thinning property. Also do not take them if you suffer from gall bladder problems. Taking turmeric supplements over a long time can cause gastrointestinal side effects. Cervical cancer is common across the globe. But it is highly preventable. If you are fortunate enough to have access to good healthcare services please do go for regular screening and make use of the HPV vaccine. Turmeric at early stages can help prevent HPV infection and cervical cancer. Lab results indicate that curcumin can destroy cervical cancer cells and serve to be therapeutic. So do go ahead and try out The Golden spice and let us know your story! I have had a great results with tampons soaked over few minutes in a liquid paste made of turmeric spice powder and olive oil and then this tampon placed inside as a normal tampon would be used overnight for a week. Cures it totally! Jenna were you cured after using this and for how long did you do it? Tumeric combined with esharotics will naturally get rid of cervical dysphasia!